I can't resist a good mystery KAL (knit-a-long)! 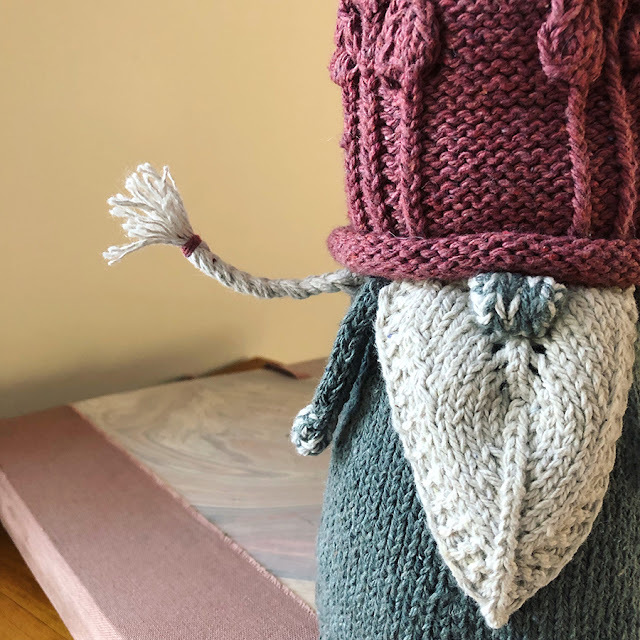 When I say good, I mean the kind of KAL that brings together gajillions of knitters from all over the world to laugh, chat and seriously show off... à la Stephen West or Ysolda. Here is my Stephen West Earth and Sky -- his fist shawl mystery KAL, which I thoroughly enjoyed. 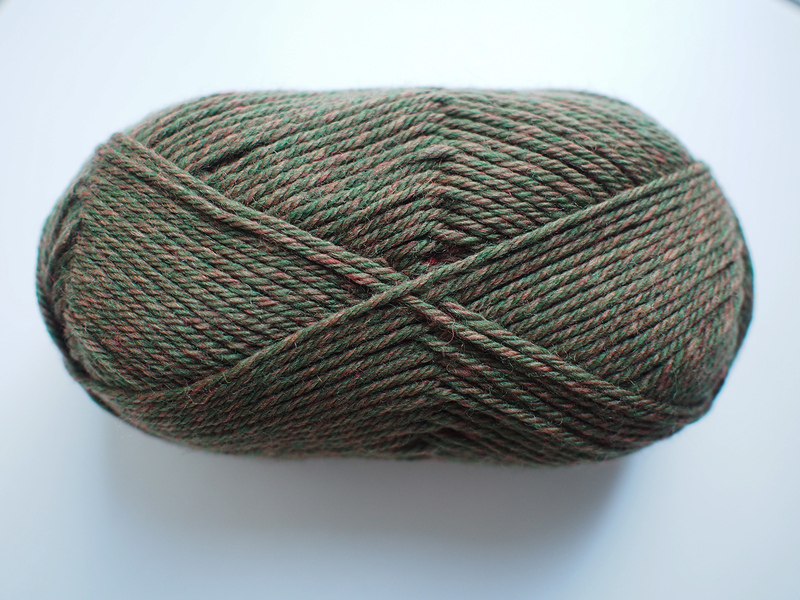 Of course, I tried the 2nd KAL and stopped mid-way because I didn't like it... there's always the chance of that with a mystery KAL -- you really just have to take the plunge. Scary! 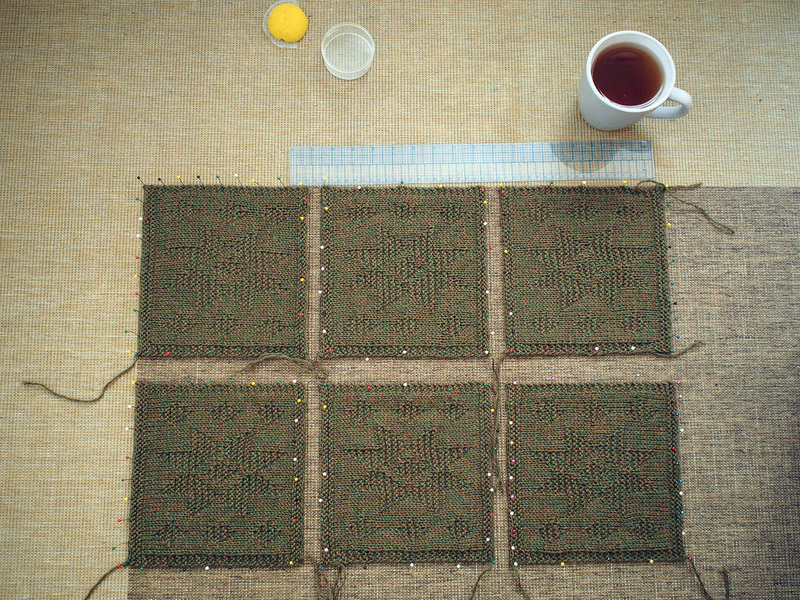 Rowan started it's first KAL ever 4 weeks ago, and it will continue until mid-July. Download all the patterns free here! It's an afghan/blanket designed by the admirable Martin Storey using a new washable yarn called Rowan Pure Wool Worsted. This amazing picture of all the 50 colors currently available comes from Shabby Motley Handcraft, a lovely yarn store in Sault Saint Marie, Ontario. It's all arranged on their hundred-year old pew! The KAL pattern comes in 10 clues. The first 8 are sets of 6 squares (48 total), the 9th is the cabled trim and the 10th is the secret way it all gets put together. Naturally, to show off the new yarn, the original pattern uses 17 colors of the 50. 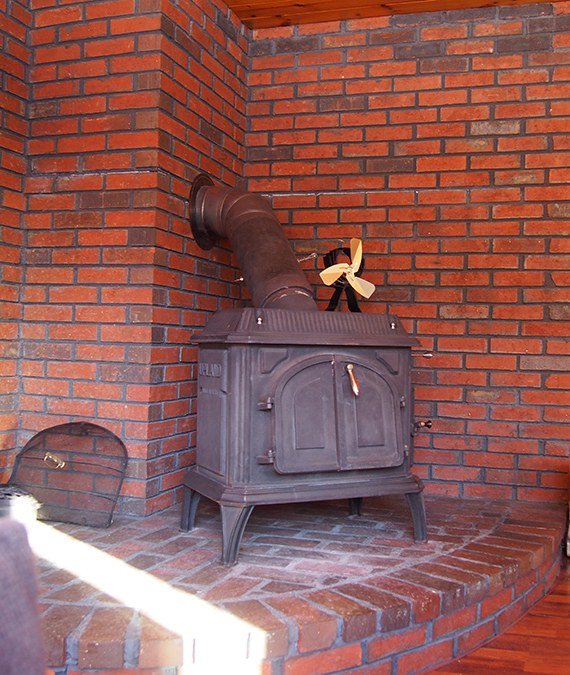 Now -- those of you who follow my projects will know that I love using color, my god do I love color! But guess what?? You will be interested to learn that I am using only one. YES, ONE COLOR THE WHOLE WAY. Now originally I wanted to make the afghan in my favorite shade of them all, Mustard. However, the stars weren't aligned and I ended up with a heathered shade, Hazel. It's a mix of army green and orange/red, quite unique -- reminds me of certain hunting camouflages, lol! The KAL is arranged to increase in complexity as the clues progress. 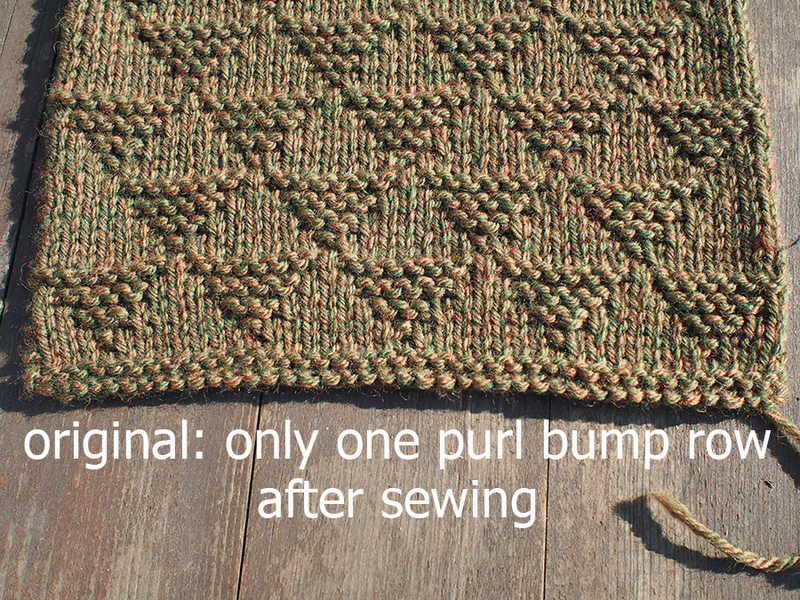 The first clue gave both written and charted instructions for a cute knit/purl triangle motif. I immediately saw that my gauge didn't match the pattern gauge. 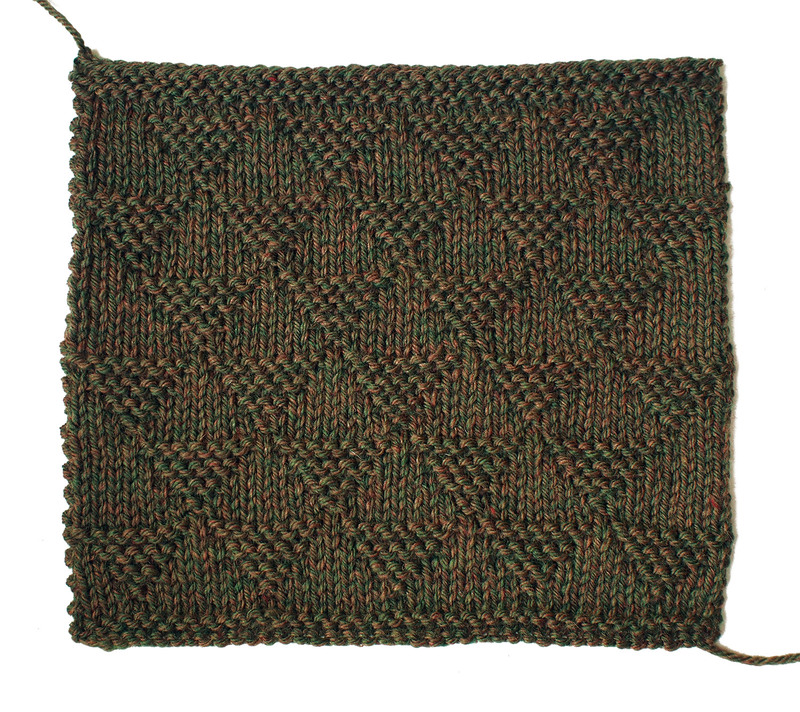 On US 7 (4.5mm) needles, my square was too wide and too short (22x20cm instead of 20x20cm). BUT, I liked the floppiness of the fabric, as I like my knitted blankets to really drape over me. So I'm keepin' it UN-square. This will be a problem if the squares are placed side/side to head/tail. If that's the case, I will just switch them to side to side, no problemo. A lot of people are having gauge issues -- if you decrease your needle for stitch width, you will most certainly lose height. Do your best to get square (unlike me), with a good hard block. You can read about how I like to block here. I always count long-tail cast-on as the first row and this time I counted it as the Right Side. I wanted the top and bottom of the squares to be perfectly symmetrical, so I actually added rows so that I could do that. You'll see from the fix that I have the cable-like cast-on edge easily available for sewing and 2 purl bump rows instead of 1. I maintained this through every square. 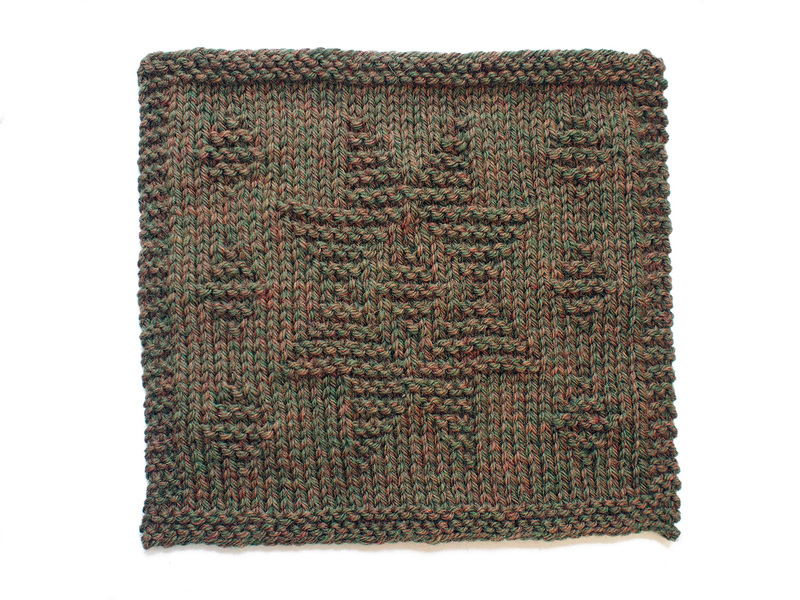 The second square was a pretty star motif also out of knit and purl. It was a bit like knitting a dishcloth, honestly (which I've never done, have you ever seen this Ravelry group?)... 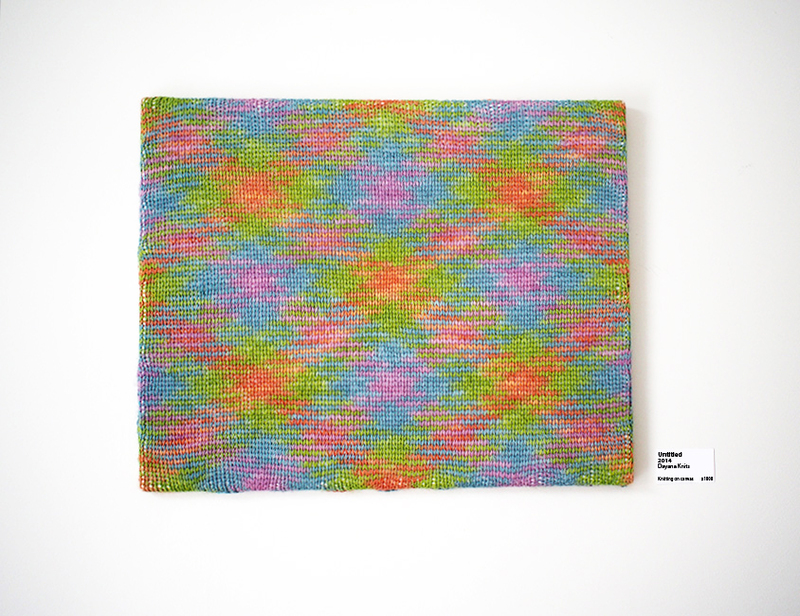 but there are some pretty awesome knit/purl motifs out there! See Entropyhouse's EXFOLIATE! 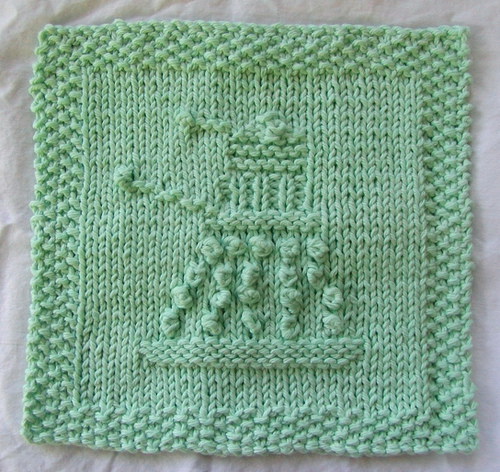 Dalek Cloth pattern here. A lot of people were forced to follow a chart for the first time with this clue, and honestly, I'm pleased about that. There are some gorgeous patterns out there, especially lace shawls, that cannot be written out. I like to think that a lot of people have really opened up their knitting horizons with this KAL. 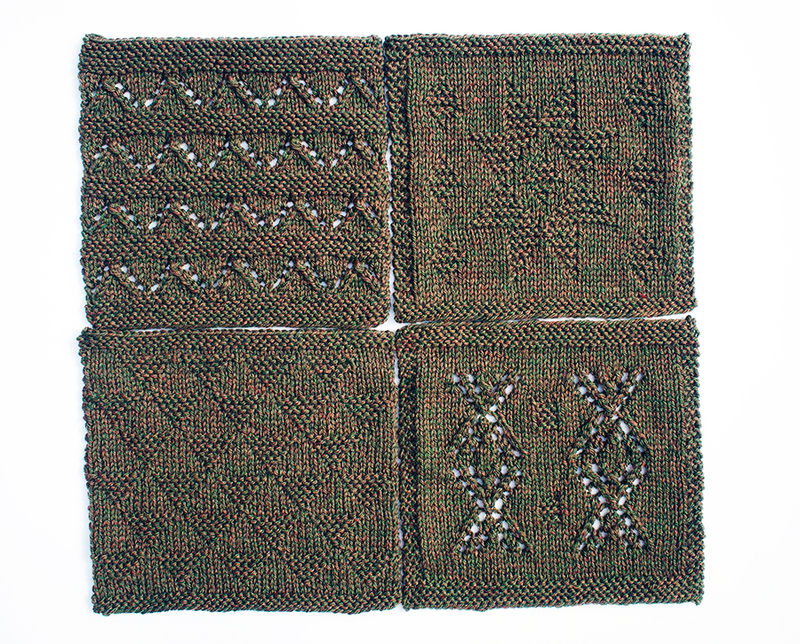 The third square introduced the concept of lace. It's my girl square. It's a classic motif that I actually already knew by heart from my recently completed Madonna! I think people really enjoyed this square. It has an extra ridge of garter on the top of the bottom which is kind of odd. In fact, I'm overall not really understanding how all the garter stitch will match up, as each square seems to be random with the edging. Note: for this square, you can use ssk instead of s1k1psso. I find it easier, and the top stitch is tighter and looks more neat. 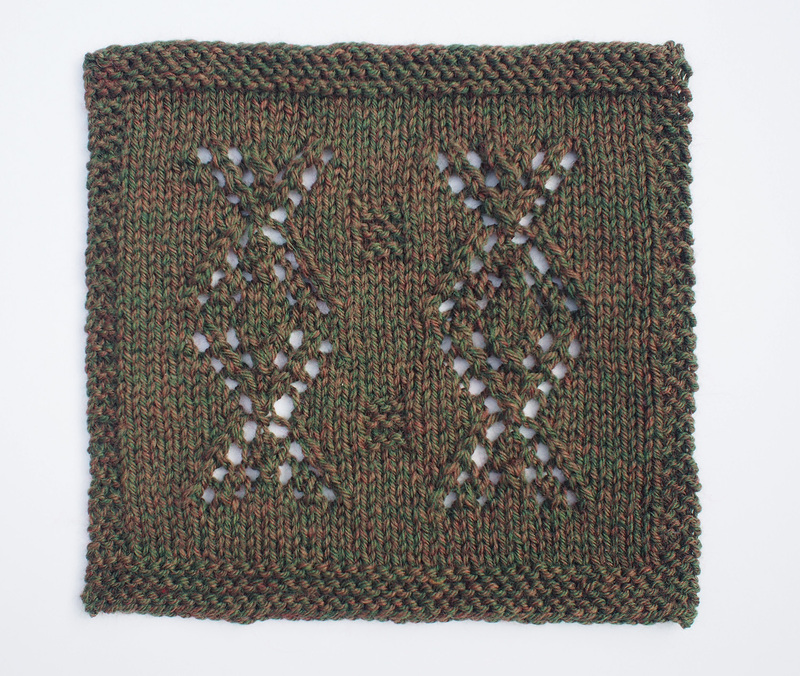 The fourth square, released this week, is a more complicated lace motif that requires the chart most of the time. First I thought they were DNA strands, because I'm nerdy like that. 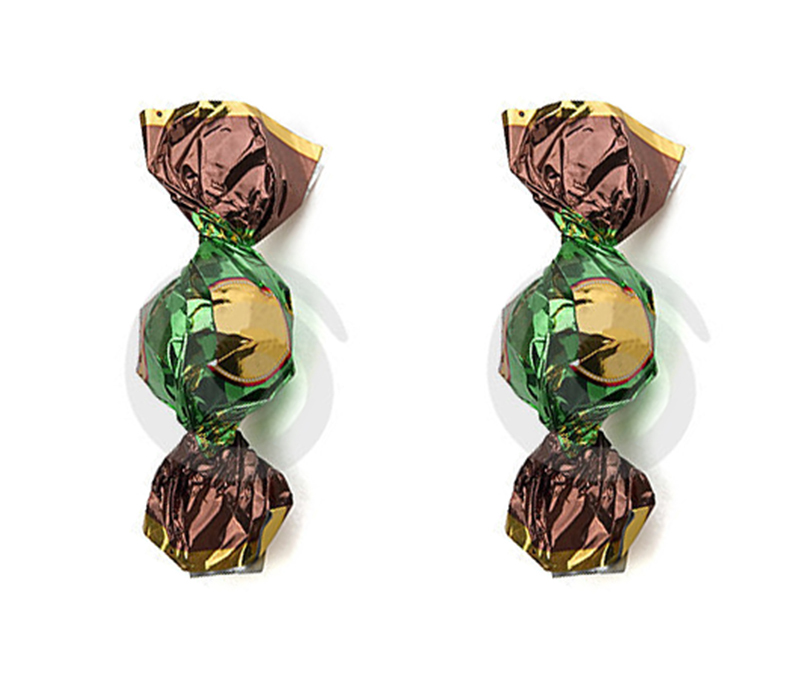 But most people thought they were wrapped bon bons! Note: The samples in the pattern use a sl1, sl1, k1, psso double decrease. BUT, the video on the Rowan pattern page shows a sl2tog, k1, psso centered double decrease. Who knows what Martin Storey intended himself! 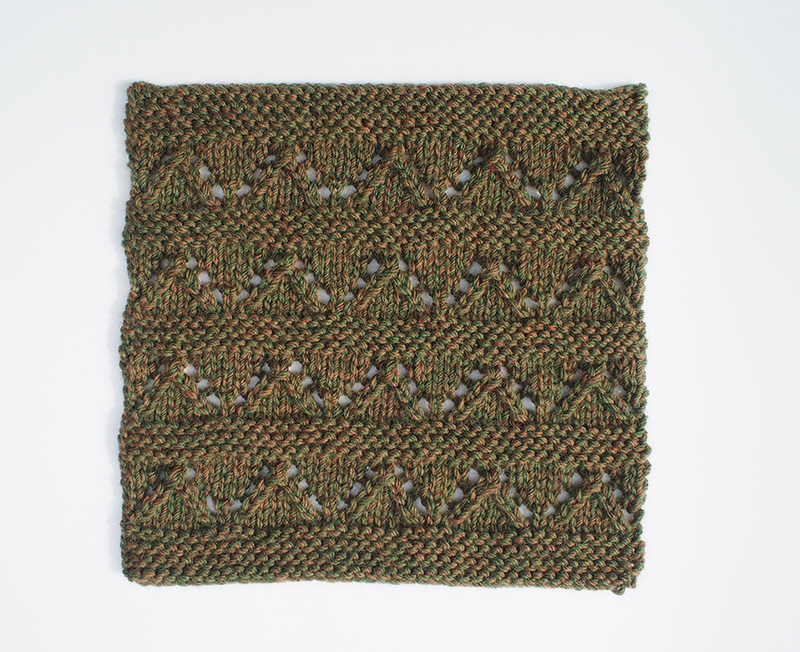 I really like the samples as knitted and decided to do the twistier decrease. I think it goes well with the 'bon bon' wrapper idea anyway. If you'd like to join the KAL, it's not too late! There are still 6 clues left AND one whole month of time to put all the finishing touches together. The shopping list and patterns can be downloaded here. 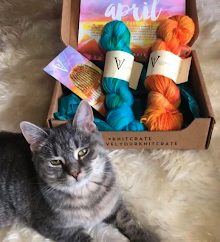 Head over to our Ravelry thread in the Rowan Yarns group to sign-up, and then choose a thread specific to each clue if you'd like to ask questions or post progress. 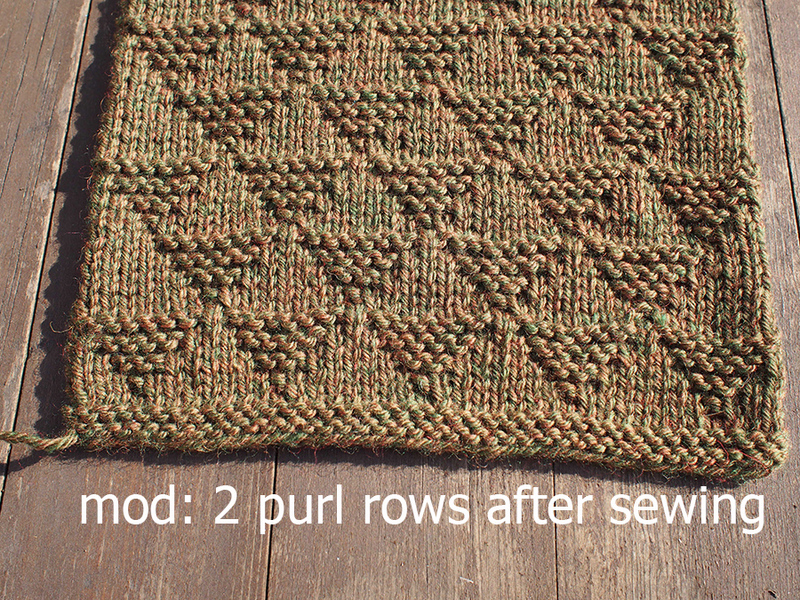 At the end of the KAL, finished afghans using Pure Wool Worsted will be eligible for prizes! You will be able to enter in the Ravelry group or on the Rowan Yarns Facebook Page. 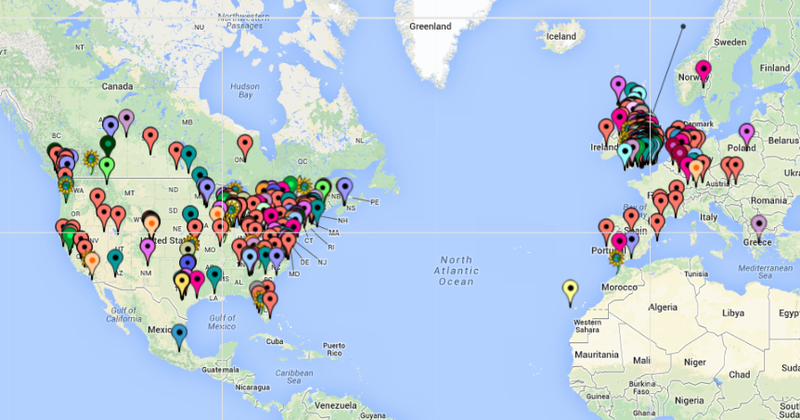 Just so you don't feel alone -- there is also an incredible KAL map set up by one of the KAL participants where people have added their locations! I don't know who is winning, but the UK sure looks crowded. To add a pin, click "Additions" and "Add Marker". To differentiate yourself from a close neighbor, put in a postal code and choose a funky symbol. I'm the candle over in Montréal! 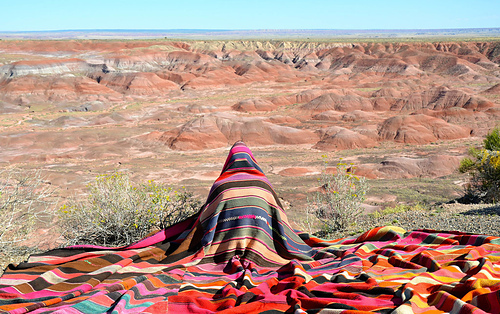 I have this crazy idea to photograph the blanket in some wild way. My husband found this photo on the New York Times website... shall I book some tickets? Gaston Ugalde’s “Colorado X,” 2012, exhibited by Salar Galería de Arte, Bolivia, NYT link here. 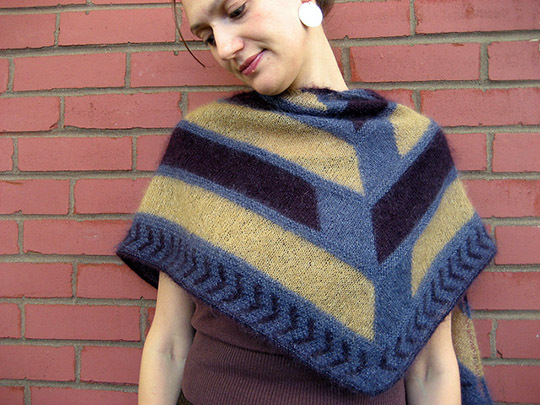 This is the kind of KAL that a knitter could easily fit into their schedule. Squares are so portable. I have never knit a blanket before (except for a baby) but have been trying to save a swatch from my sweaters this year to knit together into one big, odd, hodgepodge blanket. 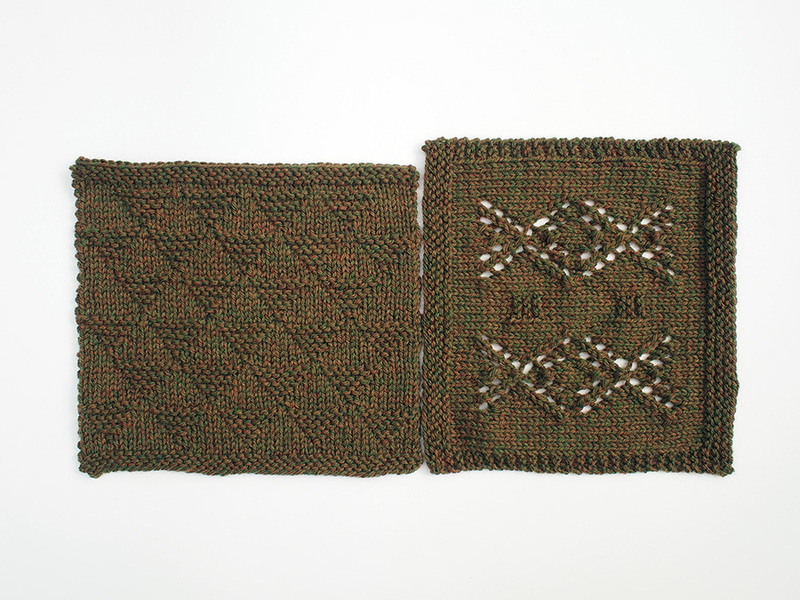 Trying to get uniform, usable squares is the only reason I've been good enough to swatch and block. 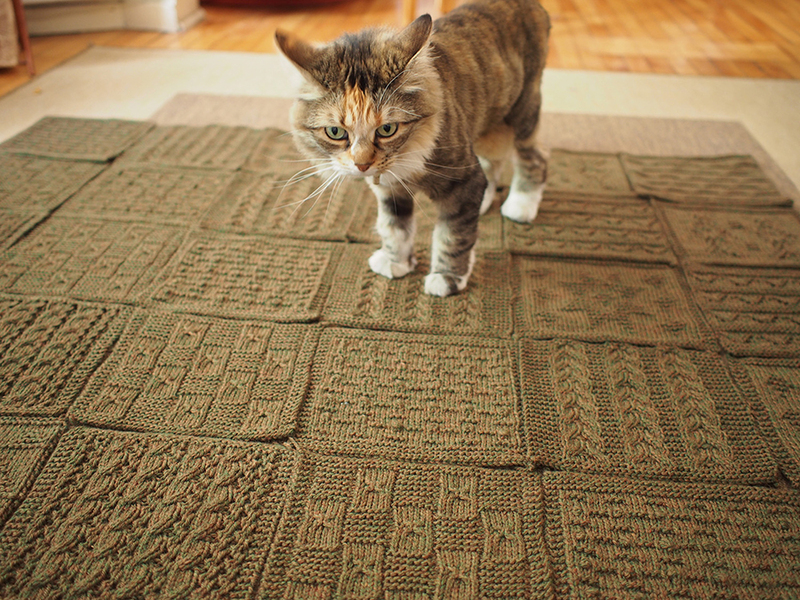 Your blanket squares look beautiful, as I'm sure the finished blankie will. Thanks, Michelle. A part of me was thinking it would be so much easier to cast-on a square off another and avoid sewing (if one had an idea how to put it together), but then it would be so UN-portable! I love the visual effect where you see the blanket squares piling up! The Nordic star is my favorite design so far. Nordic star is beautiful, but I think I enjoyed knitting the bon bons the most.